“Wish you were here?” Winners – Cheval Three Quays! Every fortnight, the team here at Guestline choose a star property that stands out from the crowd and crown them our “Wish you were here?” winners. 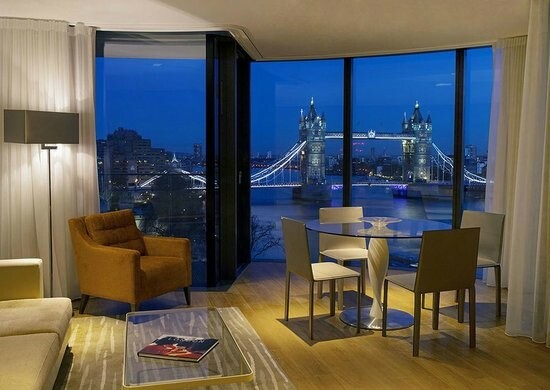 Nestled between the contemporary culture and historic guise of the River Thames, Cheval Three Quays is a multi-award winning destination in the heart of the City of London, with breath-taking views over the Tower of London, the Thames and Tower Bridge, the Shard and HMS Belfast. When looking for a serviced apartment that stands out from the crowd, amenities are the key – Cheval Three Quays offer a concierge service 24 hours, free WiFi, an on–site gym, luxury welcome hampers and Arran aromatics. Cheval Residences offers a collection of London’s most desirable addresses, located in some of its most sought-after neighbourhoods. Each residence has its own individual style, yet all share the same ethos and levels of service rarely enjoyed outside the world’s finest hotels. Huge congratulations to the Three Quays team! Guestline's latest newsletter, Connect is out!